Technology is radically changing the way we live and interact. Customers are increasingly expecting smart, easy to use, one-click, mobile and personalised services. 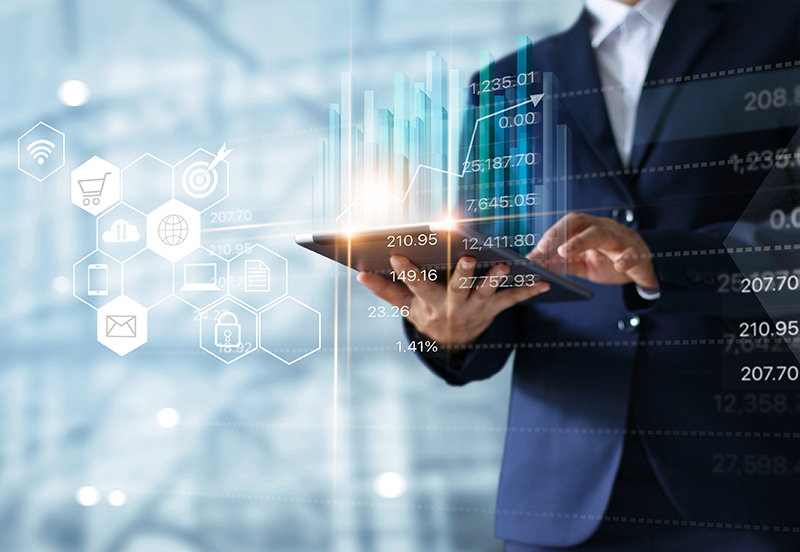 Insurance is part of this too, and as Irene van den Brink and Ingo Weber from the Digital Insurance Group point out, it’s time for the industry to be spiced up. Data, analytics and AI are exponentially putting pressure on incumbent insurers to rethink every element of their business model. New initiatives are popping up, innovation garages are becoming popular in most traditional insurance companies and above all, we’re witnessing the rise of InsurTechs. Initially, InsurTechs like Knip served as a wake-up call to incumbents. In the meantime, all insurance companies were at least talking about digital transformation. In the past few years we have seen an impressive rise of InsurTechs aiming to shape the future of the insurance industry and even though the number of start-ups is stabilising a bit, investment in more mature InsurTechs is consistently increasing. Combining the efforts of InsurTechs and traditional players would have the most sustainable and impactful results in the market. Exploring ways to collaborate, we see a lot of traditional players setting up VC funds to invest, we see partnerships, and we see incumbents taking over InsurTechs in an attempt to accelerate their business. Let’s explore the three benefits that such collaborations could bring for both sides. Combining the efforts of InsurTechs and traditional players would have the most sustainable and impactful results in the market. If we purely look at numbers, the impact of InsurTechs is still limited: traditional players still have access to a large customer bases whereas InsurTechs are often struggling with distribution and have a small market share. They both thrive on big numbers and scalability cuts both sides: a massive benefit of technology is the scalability it offers. In essence, technology allows for a digital model where increasing sales can be done at a stable cost level and the same goes for claims. Dutch digital insurer InShared was able to double in volume at the same cost levels, thus decreasing the cost ratio dramatically. Starting from scratch and getting to substantial numbers takes time. While InsurTechs have innovation, they still lack volume, which is where the traditional players come in: they have the volume but need to find a way to serve at a lower cost. Getting existing portfolios on a platform helps in getting to higher volume and therefore, better ratios. The fast pace of an InsurTech can motivate traditional players to start ‘running’; there’s one comparison that has been used frequently – oil tankers versus speedboats. While traditional players used to be fine with yearly renewals of their base, InsurTechs are continuously developing or reinventing themselves – their middle name is ‘flexibility’. AXA has announced that it’s launching a new cyber insurance with Slice Labs, which will allow them to launch a digital end-to-end cyber offering for SMBs in just three months. They use Slice Labs’ technology, underwriting and claims expertise – all combined with their own current dominant position. Another example is Zurich Insurance that works globally with the Digital Insurance Group to build new digital propositions on top of existing IT infrastructure at a record speed. The low interest rate environment, weak insurance markets and changing customer behavior have put insurers’ profits under pressure. The big challenge is to let InsurTech have its own speed, with different measures and KPIs, without trying to put the big oil tanker on top of it, as it will end up sinking. The best way to approach this is to use the entrepreneurial spirit and tech DNA of InsurTechs to inject new processes into traditional players’ offerings and work towards improving their customer experience. The low interest rate environment, weak insurance markets and changing customer behavior have put insurers’ profits under pressure. Acquiring new customers is becoming more expensive, which is why insurers need to find new ways to differentiate themselves from competitors and find new revenue streams. Introducing new services would be a great way to add new revenue streams as they not only open new business models, but can also add a huge value to clients. Think of the way Ping An is boosting an ecosystem where they (as a traditional player) are the central platform to a number of different services (like health checks or telematics). InsurTechs can potentially be the providers of these services, and they could actually benefit from the enormous database that Ping An offers. In Europe, Generali was given the exclusive rights of the Vitality programme (which originated in South Africa) as part of their plan to move away from simply paying their clients when things go wrong and focus on preventing bad things from happening. They see the Generali Vitality programme as a way to frequently engage with the customer and to reward them for looking after themselves, being careful and maintaining good health. What we can take from all of this is that InsurTechs can undoubtedly help traditional insurers and contribute to building partnerships and ecosystems through API middleware, customer engagement platforms and new digital tools. When trying to determine whether they are friends or foes, it currently feels like they are both, but together, they have the potential to mutually benefit from one another and shake up the industry – watch this space! Digital Insurance Group is an InsureTech and a next-generation technology partner to insurers, banks and brokers globally that enables clients to innovate at record speed while leveraging their existing IT architecture.